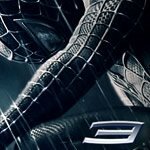 Sony Pictures releases the much anticipated SPIDERMAN 3 teaser trailer! I must say, not being a huge fan of the first two films, this one looks like it could actually have a "little" substance to it! The trailer is available in a vast array of quicktime formats including: HD and iPod Funny that Sony wouldn't release it for their own PSP. Go check out the teaser here!